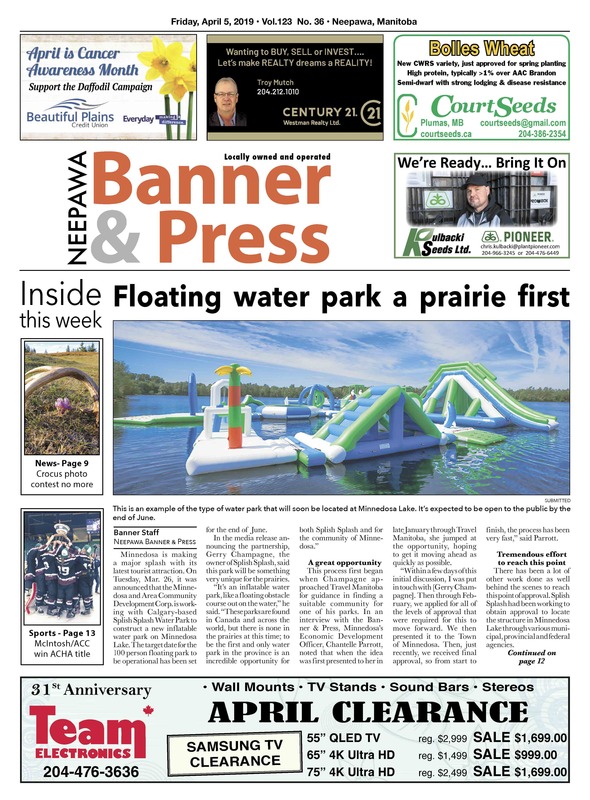 This week, read about the floating water park planned for Minnedosa Lake this summer, the change to the Arden Crocus Festival this year, a couple college hockey teams with local connections that won some important games and much more! Don't forget to pick up a hard copy of the Banner & Press so you don't miss out on some great deals in the flyers! 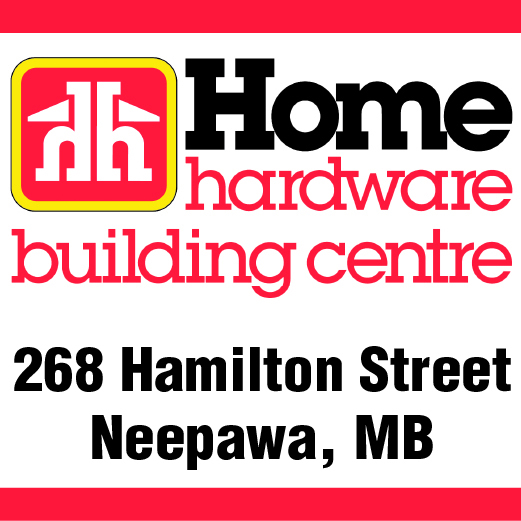 In this week's, you can find Home Hardware, Giant Tiger, Rona, Peavey Mart, the Brick, McMunn & Yates, NAPA and Manitoba Hydro, depending on where you pick up your paper. 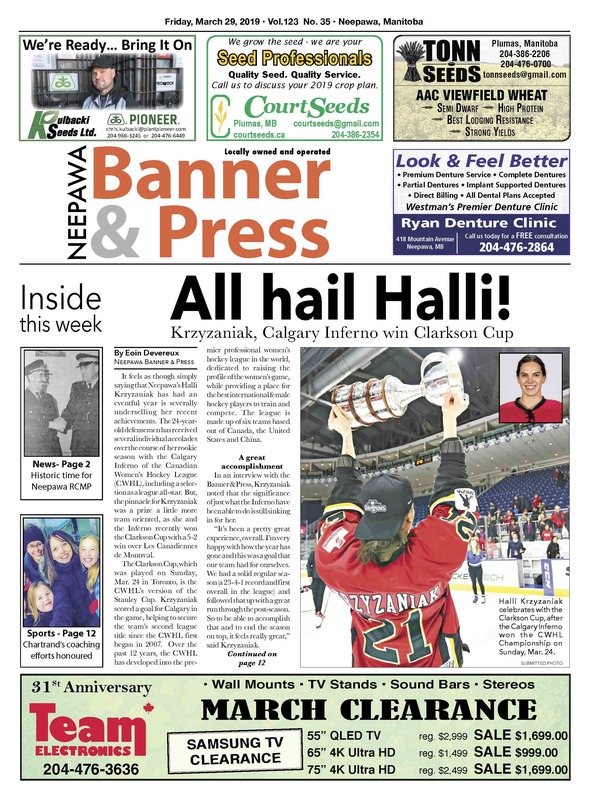 This week, read about the Neepawa local who won a national championship in hockey, a milestone celebration for the local RCMP, a figure skating coach who was recognized with a provincial award and much more! Don't forget to pick up a hard copy of the Banner & Press so you don't miss out on some great deals in the flyers! 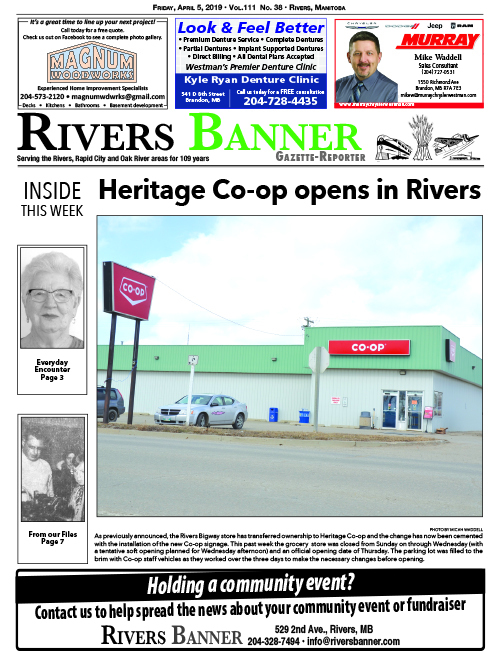 In this week's, you can find Home Hardware, Giant Tiger, Rona, Princess Auto, the Brick and Harris Pharmacy, depending on where you pick up your paper. 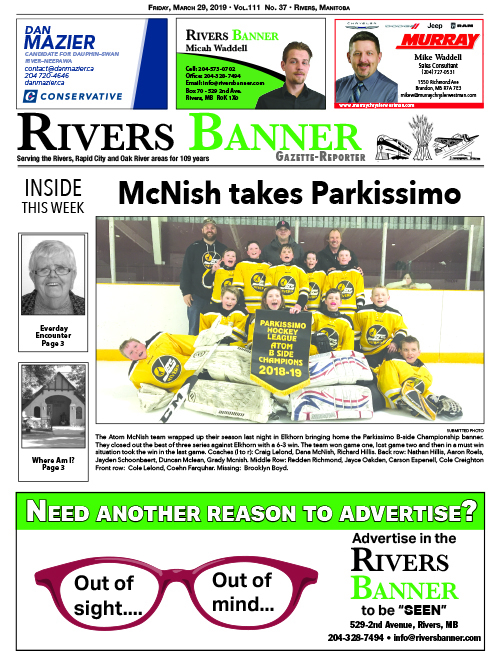 This week, read about a local Atom Team taking the B side banner in atom hockey last week and the changing rules regarding class 1 drivers license testing. Don't forget to pick up a hard copy to see the flyers from Sutton Realty and Princess Auto! 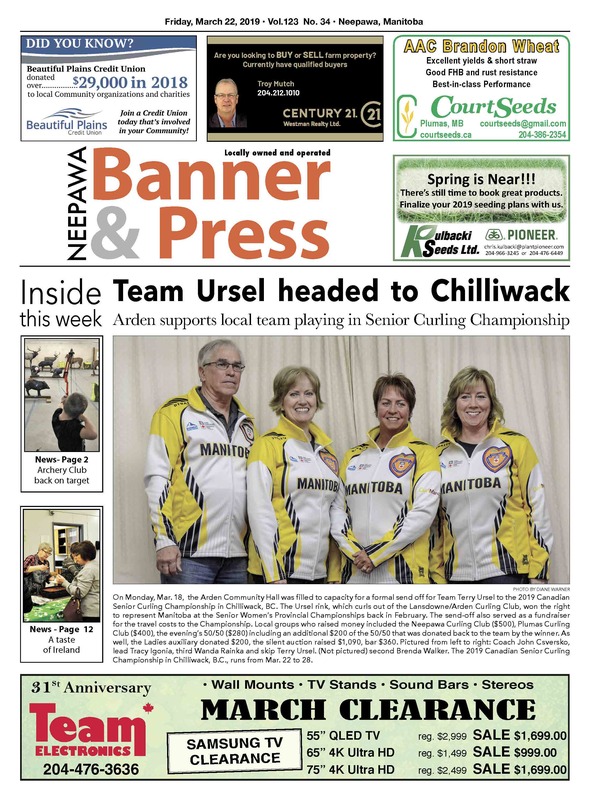 This week, read about the local curling team going to a national championship, how the Yellowhead Bowhunters showed their appreciation to the community, Victoria's Quilts' latest fundraiser and much more! Don't forget to pick up a hard copy of the Banner & Press so you don't miss out on some great deals in the flyers! In this week's, you can find Home Hardware, Giant Tiger, Rona, Peavey Mart, the Brick and Westward Ford, depending on where you pick up your paper.